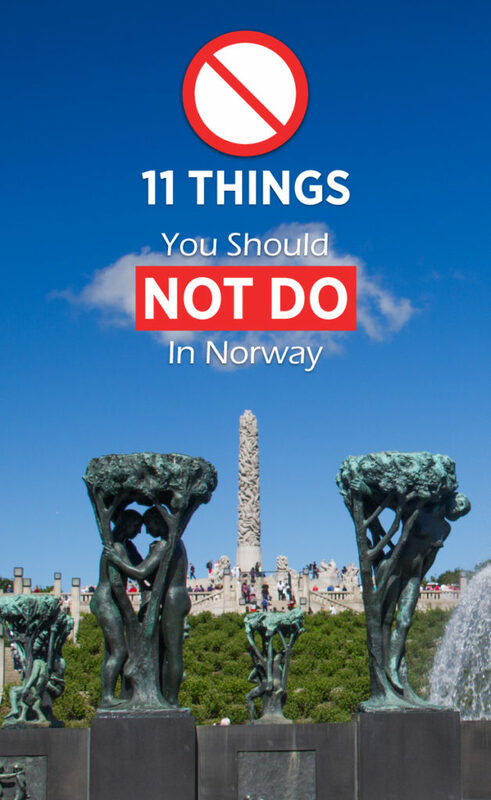 Norwegians are known to be good skiers, love winter sports and maybe be a little reserved. 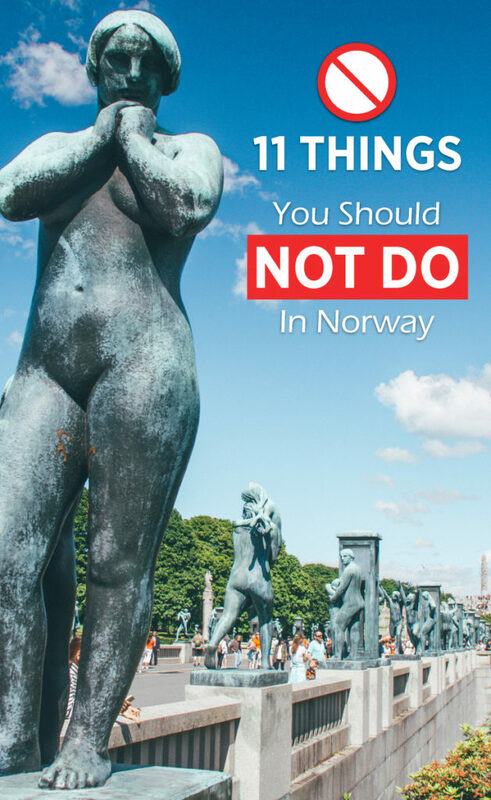 Some of the things you need to know before you visit Norway is how close you should be when talking to Norwegians and stuff you should never talk about. 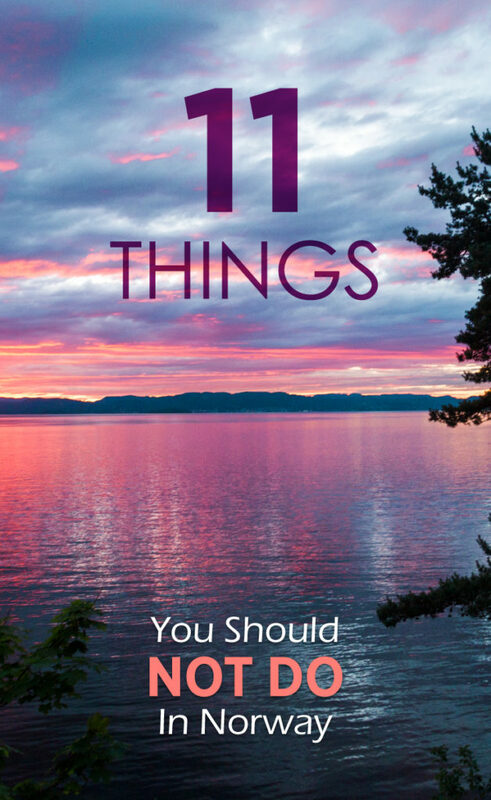 Here is my list of 11 things you should not do in Norway. Many people don’t understand how large Norway actually is. 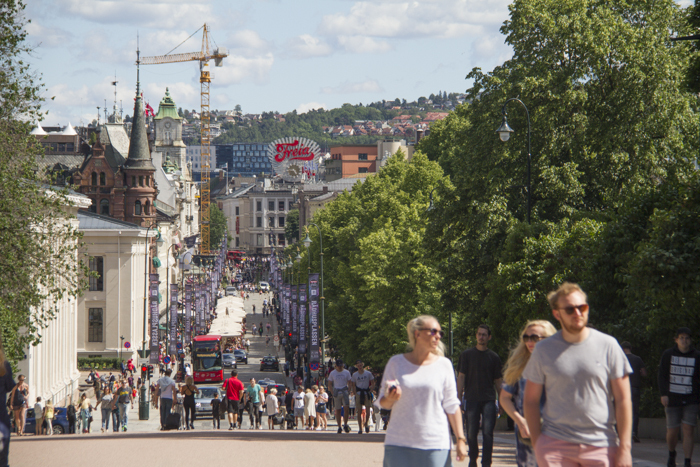 I have heard people thinking it takes 2 hours to get to Bergen from Oslo with a car. Norway has a lot of mountains which makes it take longer to visit certain places. It takes over 5 hours to fly from the south to all the way north of Norway. It takes days to drive. Driving from Oslo to Begen takes 7 hours without stops. After living in South America for 3 years I have become used to people getting really close to you when you speak. Norwegians like their personal space. They are not being rude, it is just their nature. If you are not sure how close you should go just try to read their body language and don’t get closer if they back away from you. I would say half a meter to a meter is fine xD, depending on the situation. 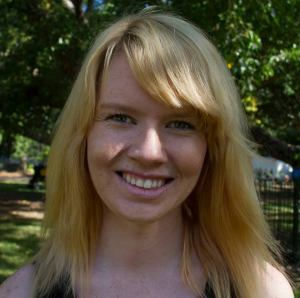 It is pretty rude to show up late for an invitation or cancel at the very last minute. Up to 15 minutes late is ok. Norwegians will understand if you tell them earlier that you will be late to the event. Norwegians also don’t mind some people coming early to help out. Koslig means cosy. Something that is extremely important to Norwegians. Whether it is staying inside near the fireplace or spending a weekend in a cabin without power. Koslig is the secret for Norwegians to feel 100 % comfortable in a situation and to really open up to people. Christmas Eve is the most important day for Norwegians where everything has to be koslig and traditions need to be followed. 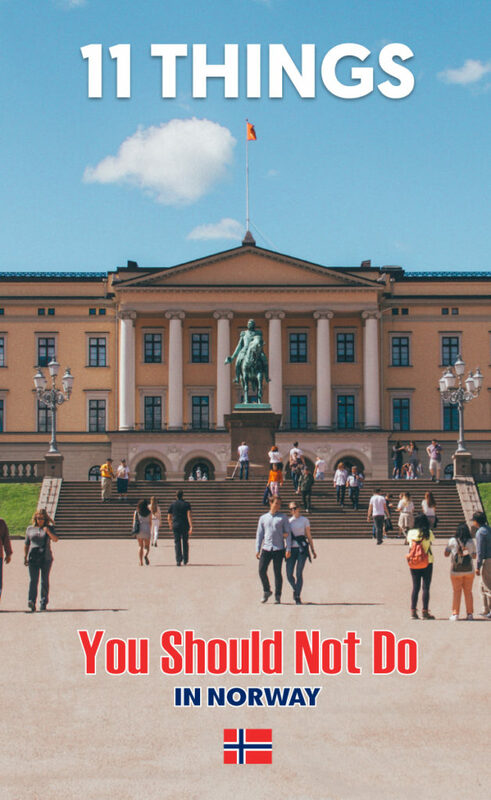 Janteloven is a very important and unwritten law in Norway. It basically says ” You shouldn’t think you are better.” It doesn’t mean you shouldn’t have self-confidence, it is more about don’t be cocky no matter how professional or rich you are. Norwegians don’t like people who brag. Norway and Sweden are bitter rivals in winter sports. Especially when it comes to the Olympics. Swedes make theories that Norwegians dope themselves because Norwegians win a lot. But if there is one thing you don’t do in Norway, is to make fun of the Olympians. However, that doesn’t mean you shouldn’t talk about it. It is not a good idea to visit Norway and ask where are the polar bears or if Norway is the capital of Sweden. Trust me it happens, it is funny but you will feel stupid and chances are high Norwegians will make fun of that moment for years. 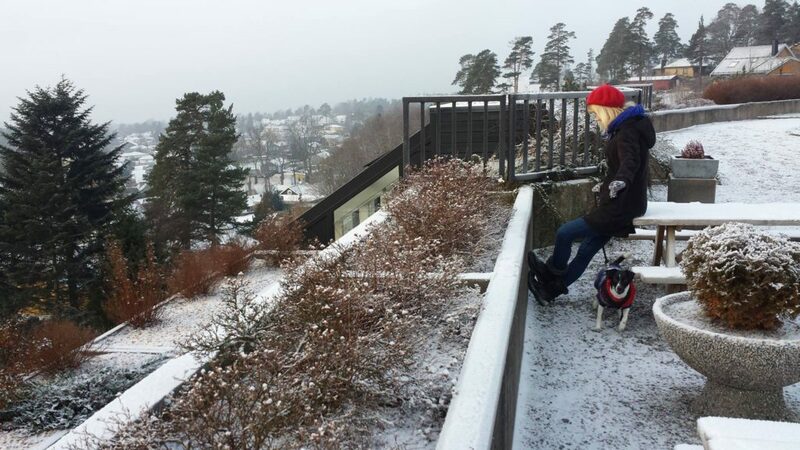 It is a saying in Norway ” It is nothing called bad weather, only bad clothes.” Norwegians often complain about the weather, such as it rains too much. However, Norwegians know how to dress up for the cold so if you are showing up in shorts and t-shirts in -20 degrees you can thank yourself. Some people think it is dark in Norway all year round and that you can see the Northern Lights all the time. That is not true. The best time to see it is from October to March. You are never guaranteed to see it even if you spend 2 weeks in the northern part of Norway. 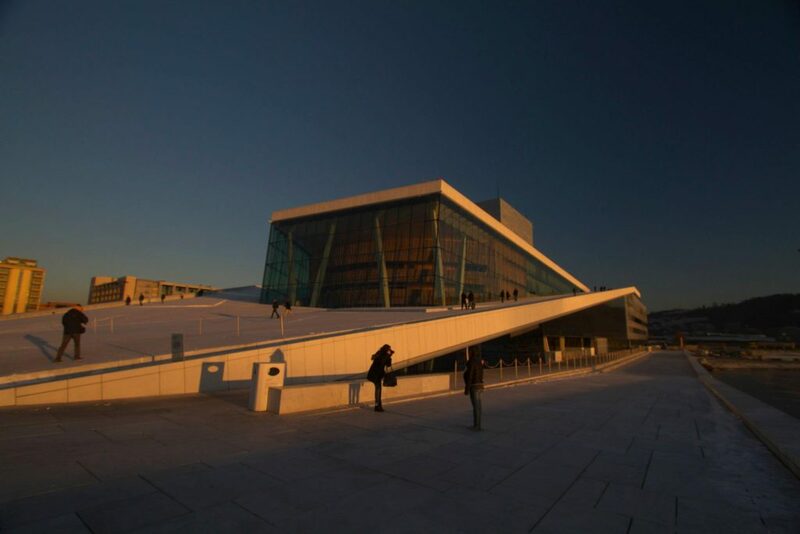 You are missing the best part of Norway is you visit the capital Oslo. 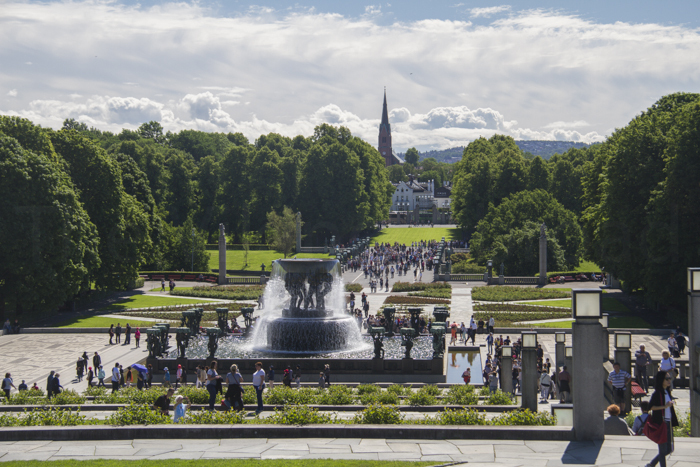 Oslo is a great starting point for a couple of days seeing the Munch Museum, Opera, Vigelandsparken and the Viking Ship Museum. If you want to see the beauty of Norway, you can travel to the west of Norway to see fjords like the Geirangerfjord. Lofoten and Tromsø are excellent options if you want to see the northern lights during the winter months. Wow, i rarely read something like this and i truly enjoy reading it. This made me understand that each country has their own innate culture and nature. I haven’t been to Norway and your post will help me understand their culture before traipsing my feet in their beautiful country. I love that it has a lot of beautiful landscape like mountains. Thank you so much for sharing this with us. I used to live in Norway and had no idea they didn’t like eye contact. It’s actually quite similar in Japan as well. Naturally, I wasn’t really making so much eye contact with people in Norway not knowing that this was common 🙂 The bad clothes is a good one! I’m glad I never complained about the cold. I think I’d better brush up on my Norwegian knowledge before I go, I’m embarrassed to say I know very little about the country so thank you for saving me from some awful faux Pas!! I’ve spent a lot of time in Latin America too, and I forget that other cultures need more space!